You have some audio recordings stored on your computer hard disk and would like to burn them to an audio CD to playback in your standard home or car audio CD player? This task can be easily performed using AVS Disc Creator. If you need first to edit your audio recordings applying some effects refer to the How to use audio effects in an audio file with AVS Audio Editor? 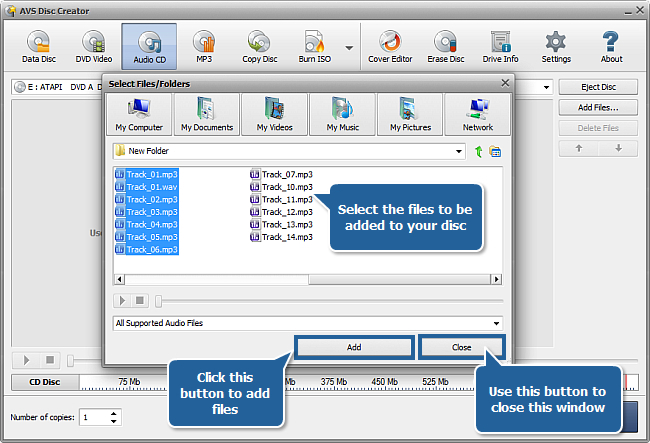 guide and then follow the instructions below to learn how to create an audio CD from most of the commonly used audio file formats with just a few mouse clicks. Click here to download it. After the download is finished, run the AVSDiscCreator.exe file and follow the installation wizard instructions. Click the Audio CD button at the top of the main window to create an audio CD. 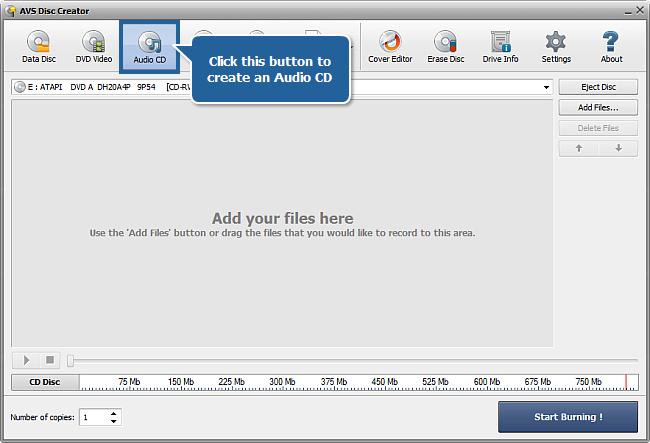 Select the files with the mouse, click the Add button to add them to your CD. After all the files are added press the Close button to close the window. The added files will be displayed in the program main area. You can also see the size they will occupy on the disc on the Disc Size Meter. 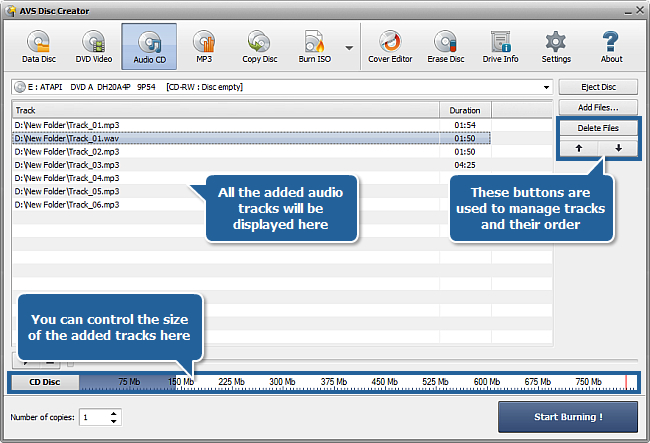 To set the necessary audio tracks order use the arrow buttons. If you need to remove some tracks select the unwanted one with the mouse and click the Delete Files button. Insert a disc into your computer CD/DVD drive. 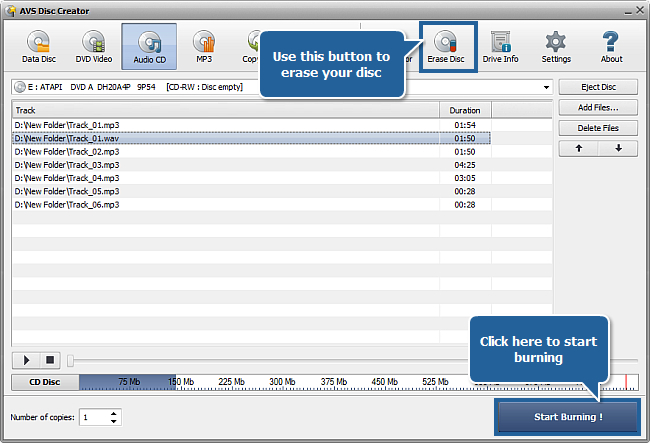 If you insert a not empty disc click the Erase Disc button to delete all the data from the disc. Note: you can specify the amount of disc copies, which you want to create, using the arrows in the Number of copies field. Then click the Start Burning! button to record the files onto it. It will take some time. Now you can listen to the created audio CD using a standard CD player of yours.